What is the most profitable cryptocurrencies to mine in 2018 ? 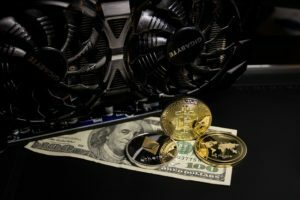 If you are wondering what is the most profitable cryptocurrencies to mine. If you have a mining rig or a graphics card to undermine cryptocurrencies. This article should interest you. The cryptocurrencies that I will present here have made their place on the cryptocurrency market. It is in the top 50 in terms of capitalization and profitability. Therefore offers a profitability that make them safe bet for anyone who wants to engage in the mining of cryptocurrencies. Why mining Ethereum Classic ? How to Mine without hardware and with cloud mining? Be aware that if you want to get into the mining of one of the cryptocurrencies presented here. You will need either a mining rig or to buy a graphics card powerful enough to start in this activity. There is also the cloud-mining solution for those who are not comfortable with pc editing in order to start mining without taking the lead. The ethereum is the flagship cryptocurrency after bitcoin. They are differs from the base because of the smart contract technology it brings. I tell you right now the ethereum has nothing to do with bitcoin and is totally different from the latter. Indeed the Ethereum, before being a cryptocurrency ,is somehow a completely decentralized super-computer that operates according to its own rules and which allows to develop applications said they. It is also decentralized. Intelligent contract technology eliminates intermediaries and provides a fully secure trust system without human intervention. Which ensures reliable and automated transactions between users. Many projects based on smart contracts have been launched with it. The aim of revolutionizing many sectors of the economy including financial where the notion of trust is a major element. A concrete example of the implementation of smart contracts is the field of insurance. Where an insured would no longer need to carry out often demanding procedures in order to obtain compensation. Clearly if the disaster situation is verified and the condition is validated. The money would be automatically released via a smart contract and this again without human intervention. If you understood this example, then you understood the huge potential that the Ethereum represents. The totally anonymous cryptocurrency appreciated by the darknet. The monero is a cryptocurrency that offers a signature of ring transactions which guarantees total anonymity of transactions made by users of the Monero network. Indeed where bitcoin fishing by its lack of anonymity. Transactions listed in the Bitcoin blockchain are publicly accessible. Monero meanwhile makes it impossible to trace the source of each transaction. It is therefore impossible to know who are the users of the network Monero. Which is a strong argument for libertarian spirits and other people reluctant to be taxed their cryptocurrencies. A cryptocurrency also anonymous but not too much? Like the Monero, Zcash is a cryptocurrency that offers a feature of anonymizing transactions but which remains optional. This is indeed free for users to use this feature. When they perform their transactions on the Zcash blockchain. The Ethereum which some of its developers refused to change the code of the latter. The ethereum classic was born due to a bug in a decentralized Ethereum application called the Decentralized Autonomous Organization (DAO). Wanting to fix their mistakes the developers. They decided to modify the code of the blockchain ethereum in order to restore the stolen ethereum to their owner. Via the decentralized DAO application bug. However, this radical solution which caused some to violate the elementary principle of blockchain immutability. Rule which assumes that the code of a blockchain should in no case be modified after it has started. Led to the Ethereum to split into two distinct and well-known cryptocurrencies that are therefore the Ethereum classic and Ethereum. The Ethereum, version whose code of the blockchain has been modified. The Ethereum classic, version whose code of the blockhain has not undergone modification. Like the ethereum, the ethereum classic allows the development of decentralized applications operating on the principle now well known smart-contracts (smart contracts). The Ethereum classic therefore follows its own path and does not seem to have said its last word. If you do not have a mining rig or a graphics card powerful enough to undermine one of the crypto-currencies presented in this top, there is the cloud-mining solution. As a reminder cloud-mining allows you as the name suggests to mine in the cloud via the rental of computing power (Hashrate) provided by a mining company. You can learn about the advantages and disadvantages of cloud-mining through this article. 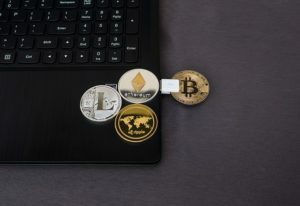 The purpose of this article was to tell you which are the most profitable cryptocurrencies on the market. That you can rely on to help you reach the break-even point of your investment (in mining equipment). Although there are already +1000 crypto-currencies active as I write this article. The cryptocurrencies presented here are the ones that stand out the most and therefore tend to prevail. 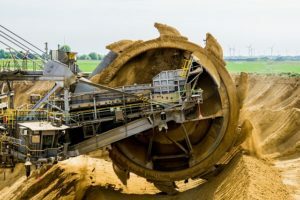 Of course do not hesitate to do your own research to define your own mining strategy and find out which cryptocurrency seems to be the most profitable. If you are new to mining and are wondering which cryptocurrency to start with. Then do not hesitate to rely on this article to get you started. You can start super easly with Minergate directly buy clicking here. A good job for all! Next PostNext How to implement a blockchain project in 5 steps ?